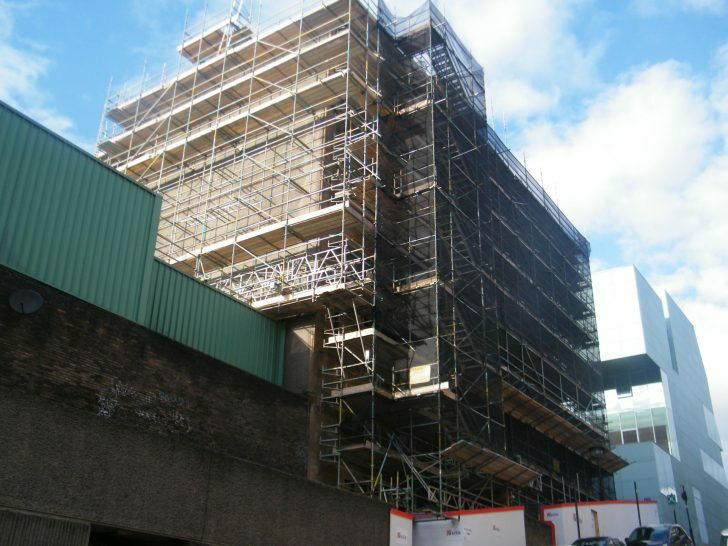 Lyndon SGB are proud to be supplying bespoke scaffolding and access solutions on the iconic Mackintosh Building at the Glasgow School of Art, at 167 Renfrew Street. 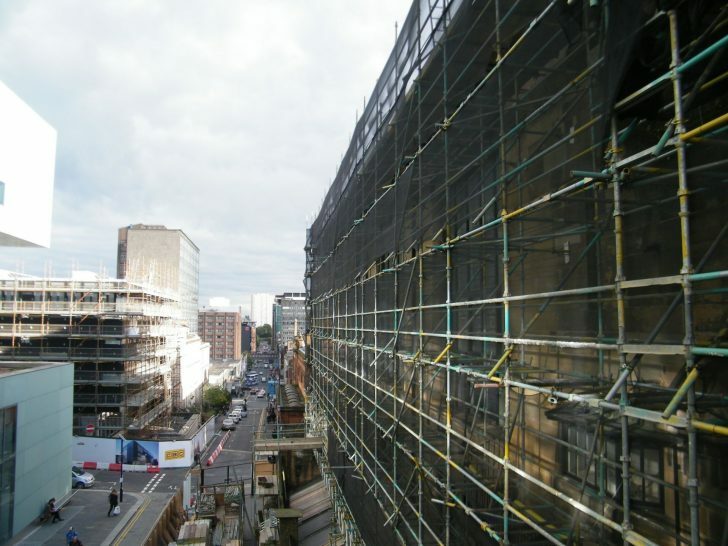 The infamous Grade A listed building was decimated by a major fire in the Summer of 2018 – only four years after another, smaller blaze gutted parts of the building – and is now in the process of a full renovation. Lyndon SGB initially commenced the works as Principal Contractor and thereafter with various main contractors including, Taylor & Fraser, Kier and now Reigart Contracts Limited, the team at Lyndon SGB has provided a range of modern access and scaffolding solutions, on various phases of the project – including west wing access and a temporary roof (following the first fire) and a façade retention and general access scaffold (following the second blaze). 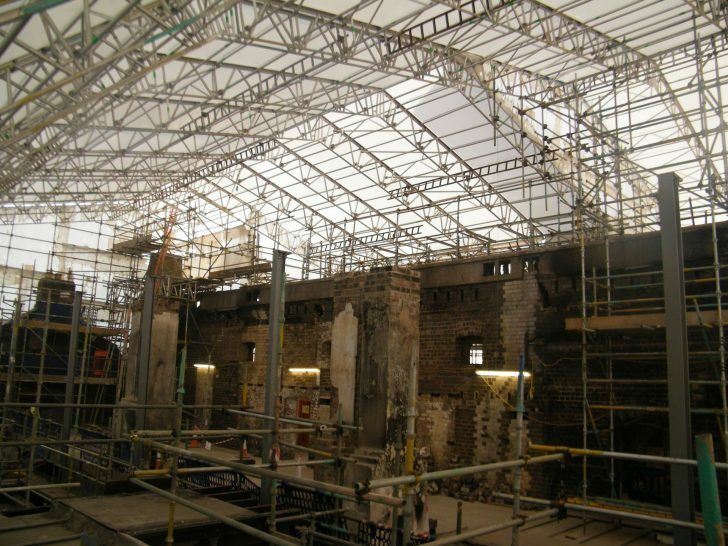 The first scaffold works began in August 2014 and included a bespoke access solution incorporating soldier brackets to the rear elevations over adjoining roofs and a coverspan roof over three different spans in the one structure, as well as support scaffolds to the West Piers. But these structures were never completed in full, due to the destructive second fire. 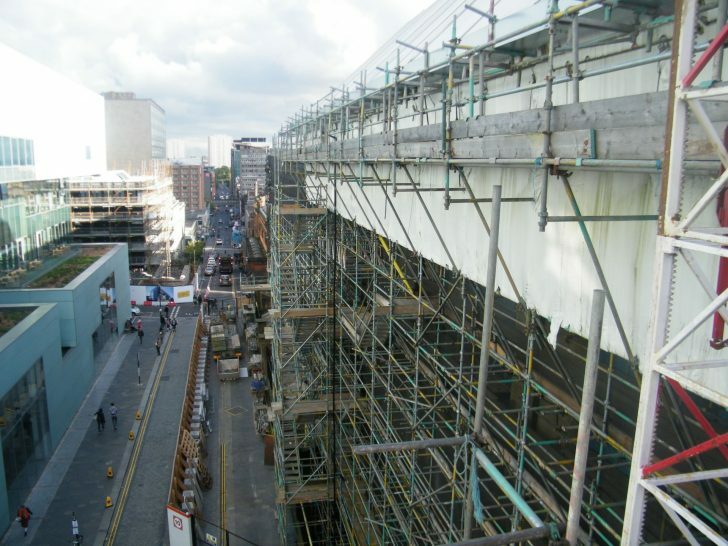 Phase two of the scaffolding and access began in June 2018 and temporary works are ongoing, with an estimated completion date for the project c2025-26. It features a bespoke design, for the heavy duty façade retention. Lyndon SGB Glasgow Team: Stuart Dougall, John Watson & Tony Donnachie. Lyndon SGB Design Team: Chris Rogers, Andrew Dawson. Lyndon SGB Scaffolding Team: Mark Cochrane, Scott Alison, Darren Bisset, Donny McFaul, Adam Harper, Anton Donnachie, Graham Duncan, Connor McCambridge, John Quail, Alan McDonald, Craig Patterson, Tom Dudgeon, Michael Farrell, Michael Boyd, Daniel Dunn, Jamie McGurn, Jack Sheriff, Gavin Watt, Steven McCallum, Russell Harkins & George Robertson. Peter Reilly & the Site Manager, Stevie Grant of Reigart Contracts Limited.